Each consists of three brushed steel round open rings each connected together by two oval shiny steel rings. 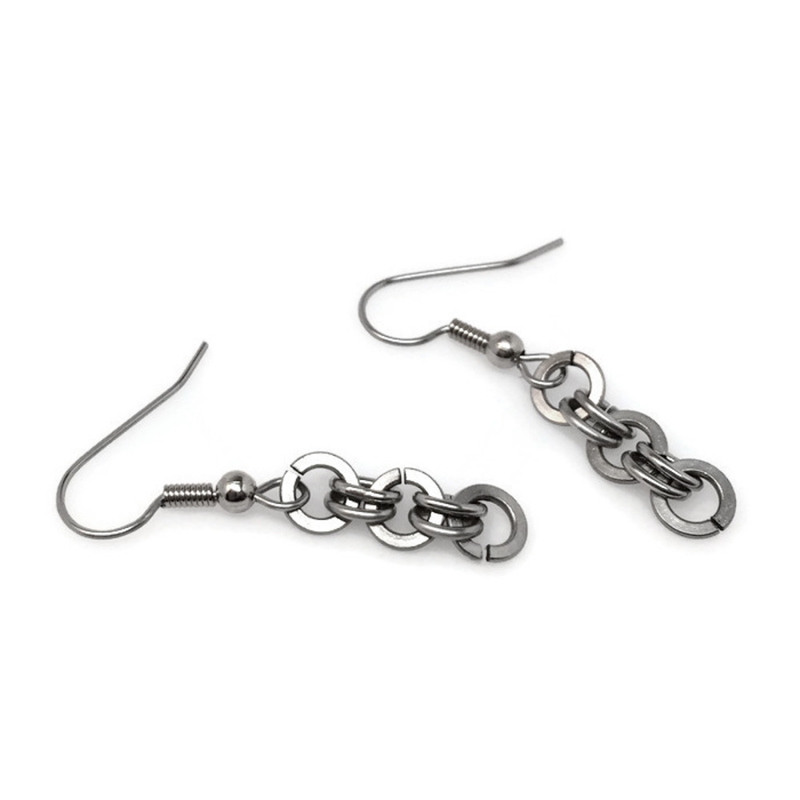 The french hook earring wires are surgical steel so they will not irritate your ears (or turn them green). 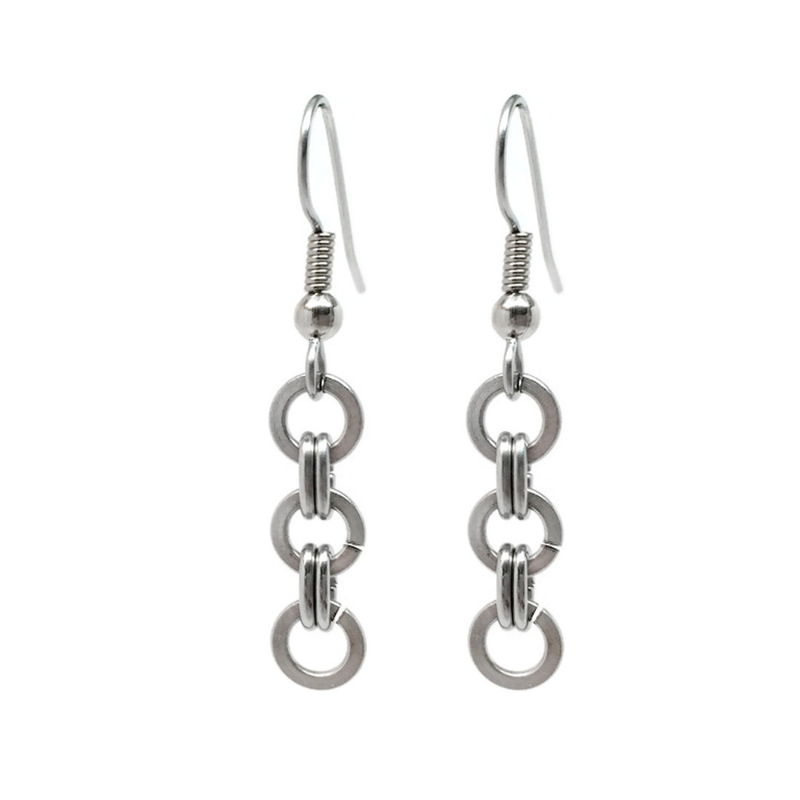 Bonus - You will never have to polish these earrings as they are made from stainless steel. 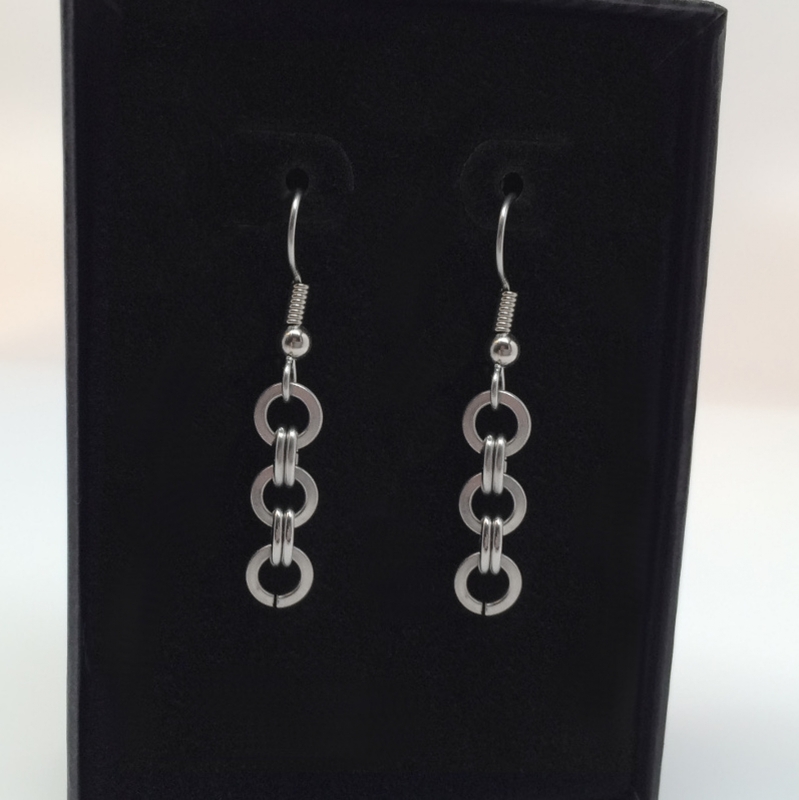 The earrings measure 1/4 inch in wide and 1.5 inches long (hang length from you ear hole). 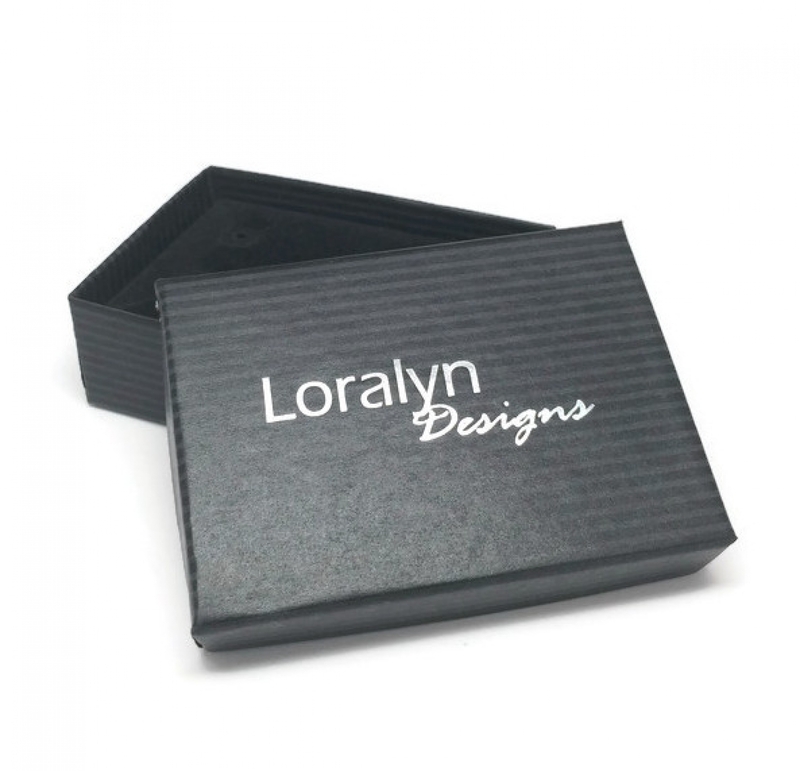 They ship with clear acrylic backings to ensure they hang securely packaged in a Loralyn Designs box. Ready for gift giving! 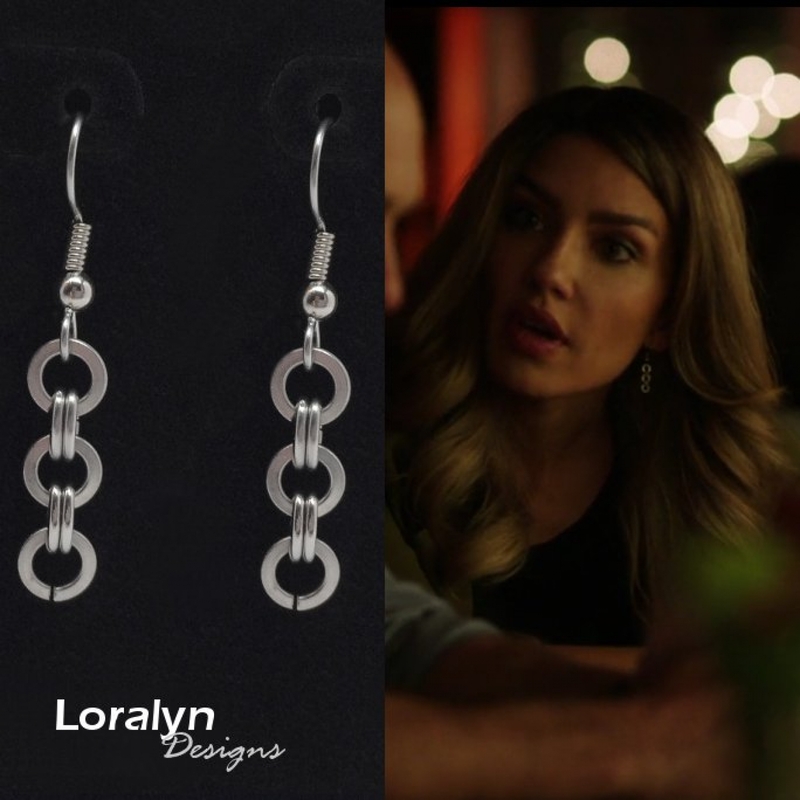 As seen on the hit TV show "Arrow"
These earrings were worn by Juliana Harkavy who plays Dinah on The 2017 Fall Season Premier Episode of Arrow which aires on October 12th. You can view them here starting at 9 min 40 sec. Unlike silver, stainless steel will never tarnish and it is not susceptible to scratches, dings or dents. Stainless is also a great alternative for people that have skin reactions with other types of metals.